I know that a lot of people have turned selling on Amazon into a full time job and I get asked how to get started all of the time by my friends and readers of this site. I let everyone know ahead of time that I had around $500 to invest in inventory so that I could start selling in different categories to see which would do the best for me and to see how much of a time commitment this would be. I know that not everyone has that much money to invest in a side hustle, especially if you don’t know if you are going to stick with it for a long time. This post contains affiliate links. If you make a purchase, I will earn a commission at no extra cost to you. I always recommend selling used books as one of the cheapest ways to get started as an Amazon FBA seller. It doesn’t cost anything to set up a selling account on Amazon and to start selling your items. You will have a fee of $0.99 cents for every item that sells. I recommend that once you start selling more than 40 items per month, to switch to a professional seller account which is $40 a month but the $0.99 per item fee is waived so it equals out to the same amount and may even save you some money if you sell more than 40 items. Finding used books to sell is a great way to get your feet wet selling on Amazon. You can learn how the system works, apps that make finding inventory easier and faster, and spending just a few bucks on inventory to get started. 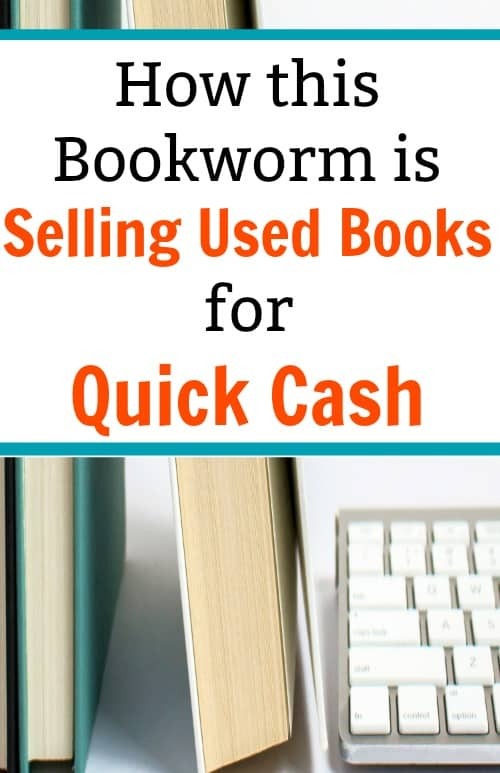 You can find some great used books to sell for $0.50-$1.00 each or even just start searching around your house for books you don’t want anymore. I personally like heading to my local thrift stores to start my search for used books. They usually have a large variety to choose from and the prices can’t be beat. I also like going to library sales to see if I might be able to find some hidden gems when those happen as well. Yard sales and Estate sales are also good places to start searching. Once you start learning how to use the scanning apps that are available, you can quickly search through a whole stack of books and see the prices and sales ranks to help you choose the ones to buy. I always advise staying away from the more popular titles and look for niche subjects. These tend to have the best return on investment. Why spend your time on books that will only earn you a few dollars when others will earn you $50 or even $100, it has happened! 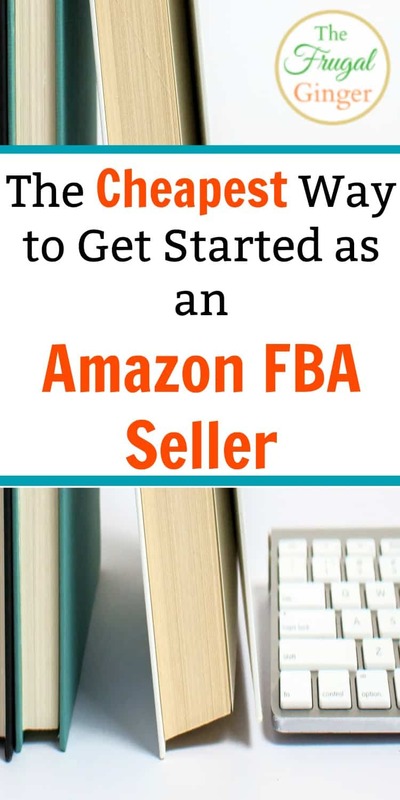 I learned how to start selling on Amazon as an Amazon FBA seller from Jessica Larrew. She has amazing courses and ebooks to help you get started. They are full of everything you will need to know to be successful. Her courses can be a bit pricey, the Amazon Bootcamp Course starts at $197. It is worth it, but if you are just starting out, you may not have that much money to invest in a course yet. 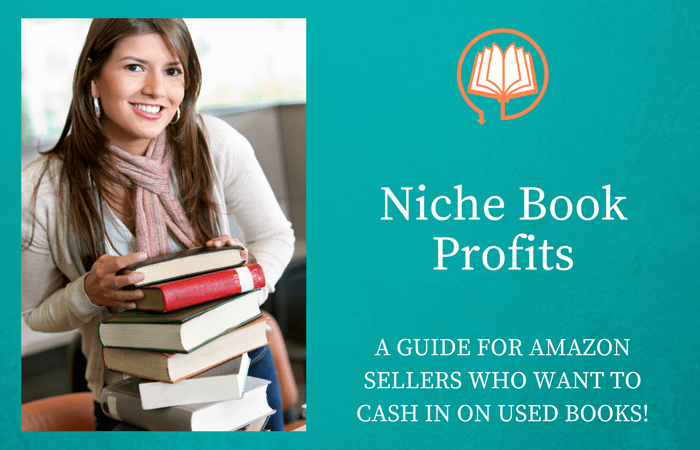 She recently launched a new ebook called, Niche Book Profits, that explains everything you need to know to sell used books on Amazon. It only costs $28! That is an investment that is easier to handle! I recommend reading her student testimonials so that you can see if this might be something you want to get started doing. The book does come with a 30 day guarantee so you can always ask for a refund if it isn’t what you thought it would be. There are so many options for people that want to make extra money or even a full time income from home. It takes a lot of work and dedication but it can be done. If selling on Amazon as an Amazon FBA seller is something that interests you, I highly recommend this book as an affordable investment to make in yourself. You will earn that $28 back in no time!